Heading south from Birdsville towards Marree, a distance of over 500 km, we saw a lot of this type of scenery. The track today seems like a four lane highway compared to when I first travelled this route about 24 years ago. 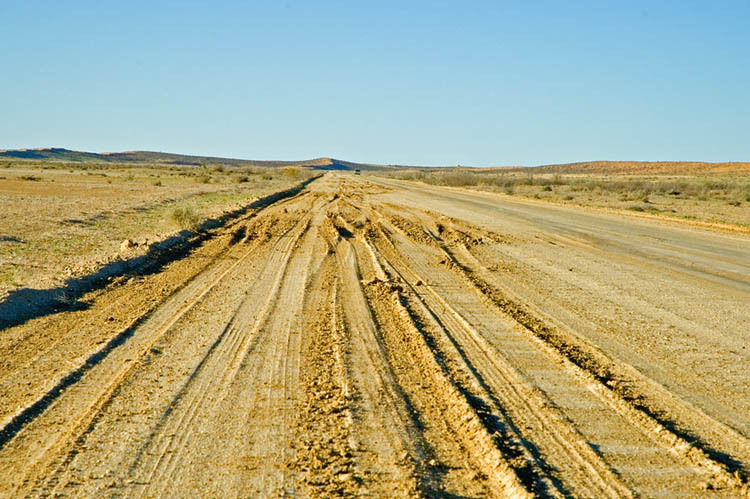 Although the Birdsville Track is well maintained, it can dissolve into a mud wallow after rain – an indication of the potential for getting stuck can be seen from the tyre tracks in the centre of the image.